From the Shopdrops Little Girl Boutique! Cute for baby girls' little parties and little socials, this Tulle Floral Ribbon Flower Girl Dress Comes in infant sizes and toddler sizes. 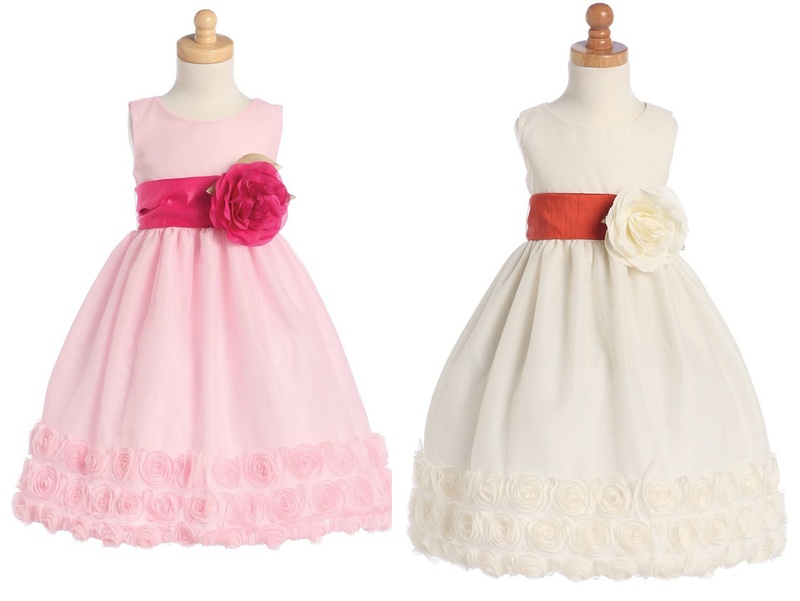 Gorgeous pretty white dress comes with a floral ribbon edge with color change sash and flower. Comes in 3 colors - white, ivory and pink. Showm here are from left to right, featured dress in pink and in ivory - Top images are in white.